August 4 is the 123rd anniversary of the brutal murder of Andrew and Abby Borden in Fall River, an event which captured widespread public attention in the United States especially when Andrew’s daughter, Lizzie, was charged with the crime. Although acquitted, the question of her responsibility for the murders has continued to fascinate the public. 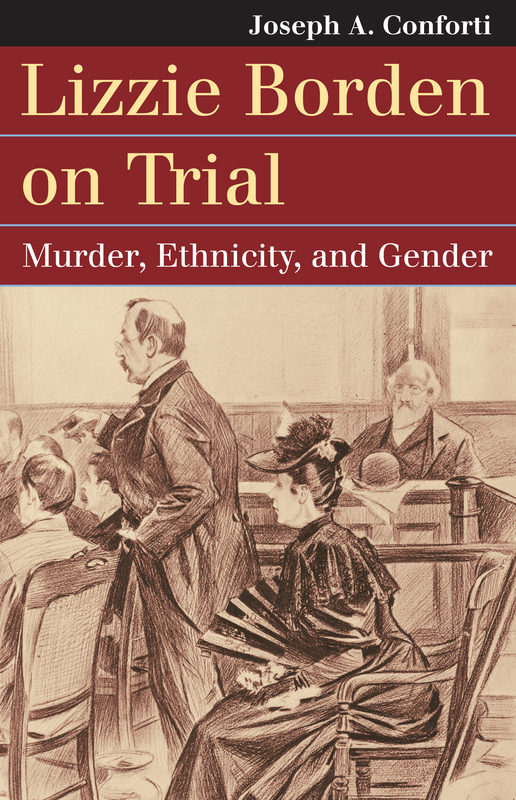 Joseph A. Conforti’s book “Lizzie Borden on Trial: Murder, Ethnicity, and Gender,” recently published by Kansas, is the latest and most thorough exploration of the murders, their investigation, and Lizzie’s trial. 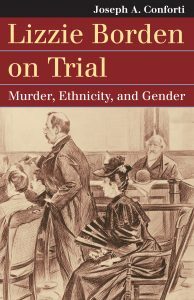 Setting the case in the social context of its time, Conforti shows how assumptions about gender—could a woman do such a violent act—and class—would a woman of Lizzie’s wealth and status murder her father and step mother—powerfully influenced the investigation and the trial. Why do we still care about this case? Conforti, who grew up in Fall River with the legend of Lizzie Borden, says that he decided to write about it because “I came to realize that what happened in the Borden house in the summer of 1892 amounted to more than a murder mystery, that events surrounding the tragedy and encompassing the trial revealed much about late Victorian life in Fall River and well beyond.” We become fascinated by a trial because it offers a window into part of our society we don’t really know, in this case an affluent class that assumed the respectability of old New England Protestant stock in a time of rapid change and immigration. Lawrence Friedman, in a recent Kansas book “The Big Trial: Law as Public Spectacle,” says “the Borden trial is a prime example of a group of trials to which I apply the phrase ‘the worm in the bud.’ These trials catch the public fancy because they expose, or threaten to expose, the sleazy underside of prominent or respectable society.” We will never know whether Lizzie Borden was an axe murderer. But we can use the story to explore and expose the life and pretenses of a part of our society.